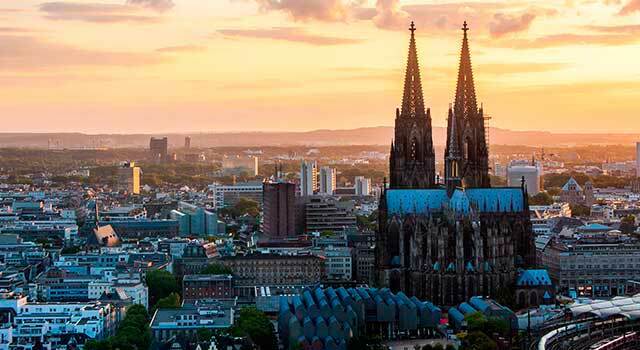 Use this website to quickly find the most important information about Cologne Bonn Airport: Flights (Departures, Arrivals), Parking, Car Rentals, Hotels near the airport and other information about Cologne airport. 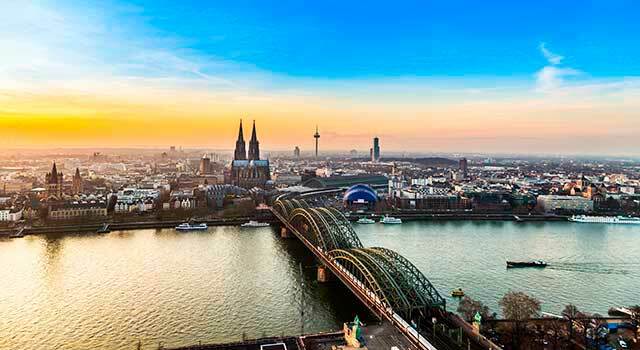 Plan your travel to Cologne Airport with the information provided in this site. Cologne Airport (IATA: CGN, ICAO: EDDK), officially known as Cologne Bonn Airport or Konrad Adenauer, is the main airport serving the cities of Cologne and Bonn, Germany. The airport is the seventh busiest airport in Germany in terms of passenger traffic. Cologne Airport (IATA: CGN) is the 7th busiest airport in Germany. The airport is located 15 kilometres southeast of Cologne city centre. 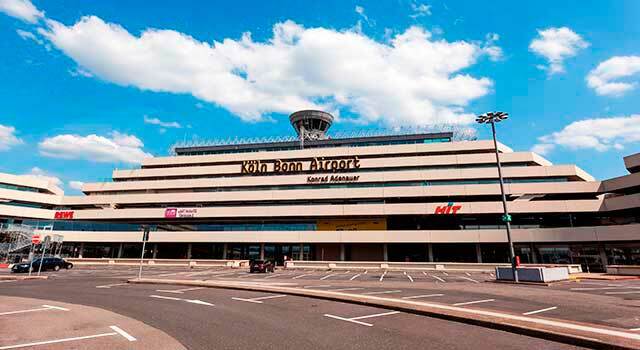 Cologne Bonn Airport (CGN) served 12 Million passengers in 2017. There are two terminals in Cologne Airport. Both terminals in Cologne Bonn Airport are located beside each other. The airport is located 15 km southeast of Cologne city centre and is surrounded by the Wahner Heide nature reserve. 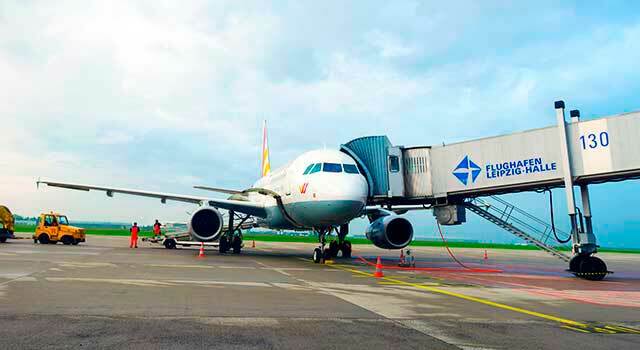 Cologne Airport serves as a hub for the following airlines: Eurowings, FedEx Express and UPS Airlines and is a major cargo hub in the world. The top 5 busiest destinations from Cologne airport are European cities/airports, being Berlin, Munich, Palma de Mallorca, Antalya and London. In 2017 Cologne Airport (CGN) handled 12,384,223 passengers with 141.338 movements. Cologne Airport serves the city and surroundings of Cologne, the 4th largest city in Germany and also serves the city of Bonn. CGN Airport consists of two terminals: Terminal 1 and Terminal 2. Both terminals are connected through a landside walkway and it’s planned to built a airside connection between T1 and T2. It is divided in two piers: B - C and both of them has 10 stands which feature jet bridges, 5 aircraft, security-check facilities, shops and restaurants. Terminal 1 connects directly with the rail station. T2 has eight stands with jet bridges and also several stands for bus-boarding. As Terminal 1, Terminal 2 links directly with the rail station. Cologne Airport has observation decks with really great views of the runways and the aircraft movements. Terminal 1 has free terraces (at Stern C) opened daily from 05.00-00.00. For travelers with special needs or limited mobility, there’s a observation terrace via lift at Staircase 4 in the 5th floor. CGN Airport has also bars, restaurants and cafes. Taxi: Downtown Cologne can be easily reached by taxi within 15 minutes. Taxi ranks are located outside the terminals at the third level. Train: Intercity-Express (ICE 3) high-speed train arrives directly to Cologne Airport station. 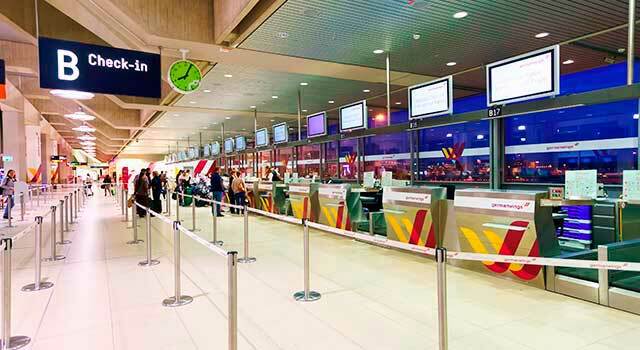 - Terminal 1: Rail station is located in the check-in area (T1-C). - Terminal 2: It is located in the basement. Lines: S13 (S-Bahn) and RE8 (regional train) connects with the airport and links to Bonn. Car rental: There are several car rental companies available at Cologne Airport. See our search engine and get the best offers! Bus: Local buses operate from the airport to go and come back from Cologne and Bonn. - From Cologne: S-Bahn No.7 to Porz Markt. From there take Bus No.161. - From Bonn: SB 60, Cologne Bonn Airport - Main Station Bonn. In 2015 a new coach terminal opened and buses connect with some German cities and many European countries. - Serves the cities of Cologne and Bonn.